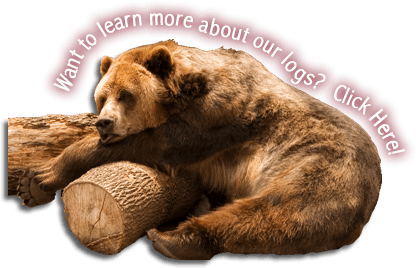 Offering unique style and dramatic splendor to any design, our hybrid and Craftsman style log homes are a perfect option for keeping your budget in line. 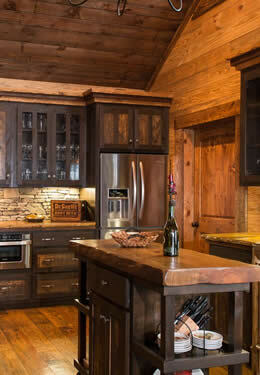 At Bear’s Den Log Homes, we offer and encourage combined building styles so your home is as individual as you are. Hybrid homes can be a combination of many styles together or just log and timber frame together. It is all up to you and what fits into your vision, design and budget. Becoming more mainstream, hybrid timber frame construction makes transitioning from a conventional stick-built home to a more rustic dramatic look of a timber frame an option for homeowners. Choosing a timbered roof system and structural insulated panels can help keep building costs in line. Designing bathrooms without posts offers greater flexibility as well as kitchen cabinets and countertops. Incorporating a timber frame master suite will offer a private yet expansive sanctuary to enjoy. Your options are endless and limited only to your imagination. Craftsman style homes have more history behind them in that they became wildly popular from 1905 through 1930. They gained popularity again at the end of the century and are still popular as old homes are being restored, and folks are building replicas. Craftsman style homes are a work of art as well as a functional dwelling with its design roots in the bungalow that originated in India. They are typically one story with a low, gentle sloping roof, although some also have dormers and attics. The design usually offers wide eaves over a deep porch with distinctive square pillars. The roof rafters are traditionally exposed, while the inside of the home has many built-in cabinets, shelving, seating and nooks. The decorative interior beams of the house are usually exposed. 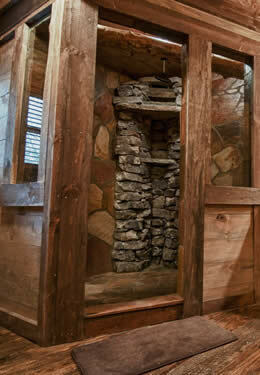 A traditionally built Craftsman is modest and takes advantage of the site it is located on by using local natural materials where possible, and even materials from the site, such as timber or rock. Usually, the home is positioned to greet the sun and is surrounded by a large garden. Again, your options are endless. Hybrid or Craftsman style homes can be designed and built using any floor plan you choose or using one that you have custom designed to fit your lifestyle. Looking back at our experience with Honest Abe and Bear’s Den one word comes to mind, “imagination”.